For $30 a month you can sponsor a child and help care for his or her basic needs including nutritional health, educational supplies, and medical care. This sponsorship program also gives you an opportunity to send and receive letters to and from your sponsored child (exchanged twice a year). Our sponsorship program is funneled through our partner, Allow the Children. They are a tremendous blessing to us in handling the administrative side of the sponsorship program and will provide you with a tax-deductible receipt. Visit our Meet the Kids page to select a child to sponsor. Hope for Life Children's Home is more than an orphanage. Not only is it a loving home for children who need one, but it is also a place of enrichment where children can learn skills they can carry with them for the rest of their lives. 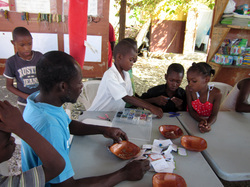 The children are involved in learning how to make jewelry and local crafts as income-generating projects. In the past we've had literacy and English classes and sewing classes, and we would love to offer computer skills training and other vocational training including auto mechanics. These programs bring such joy and excitement to our children. Your donation to these enrichment activities will help them grow into creative and capable adults, a big part in giving them HOPE FOR LIFE. If you plan on visiting us, consider bringing any of the items on our current needs list. View the list here. Our children love making things with their own hands! When you stop in for a visit, be sure to ask about what crafts we currently have for sale. 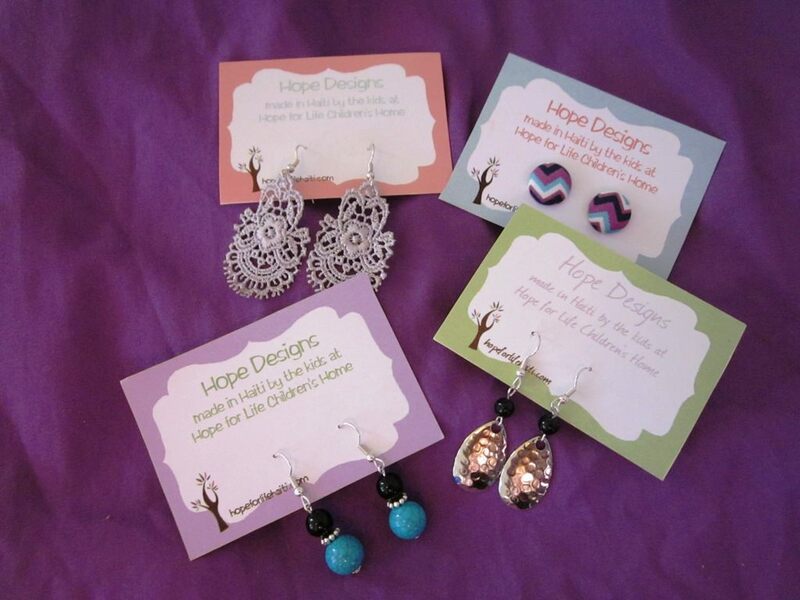 They especially love making earrings and will be happy to show off their latest creations! Your donation of any amount is appreciated and will go towards our most pressing need, or specify which need or project you would like to help. Click the Donate button below or go to our Donate page for more information. Thank you for supporting our children!